Barska® 10x30 mm Floatmaster Waterproof Yellow Binoculars. These sturdy, buoyant Binocs were made for the open seas! Measures 5 1/3 x 2 x 5 3/4" l. Weighs 17 ozs. Yellow finish. 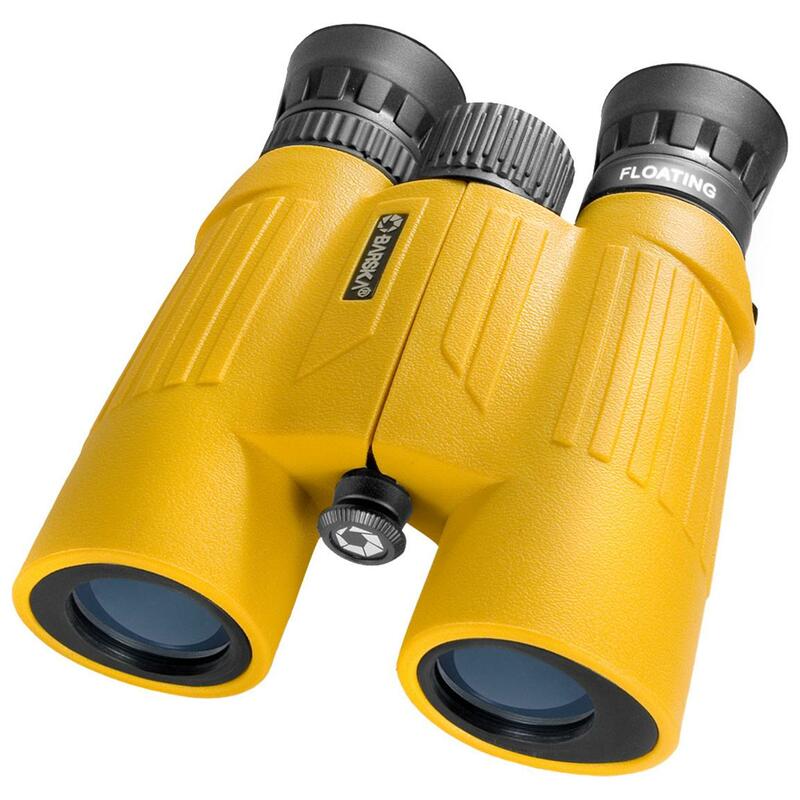 Barska 10x30mm Floatmaster Waterproof Binoculars, Yellow is rated 5.0 out of 5 by 1. Rated 5 out of 5 by Andy S from Great Value I use these to keep an eye on my garden and at the river they work well. The optics are good. Plan to find out about the waterproof properties this weekend.